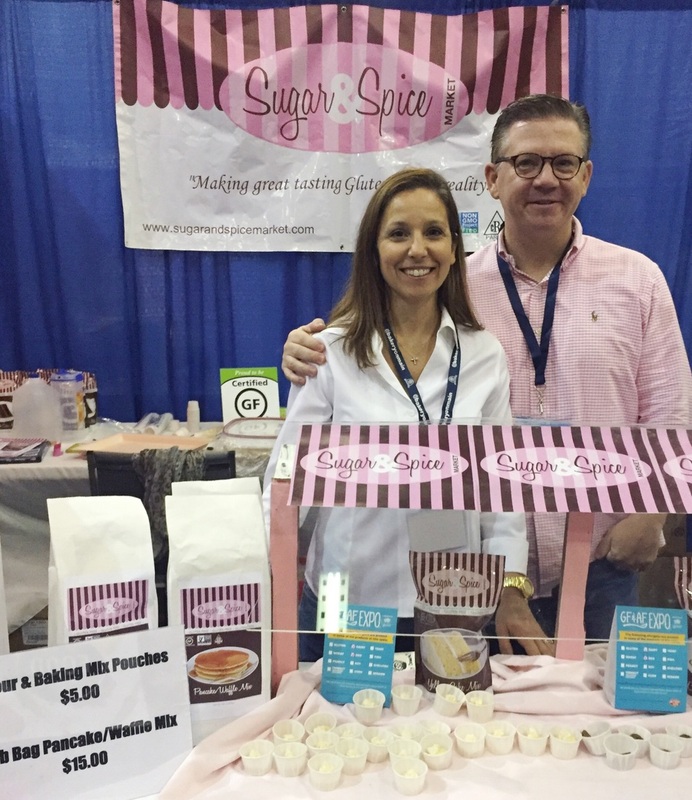 Last weekend I attended the Gluten Free Allergn Friendly Expo in Atlanta as one of their official bloggers. 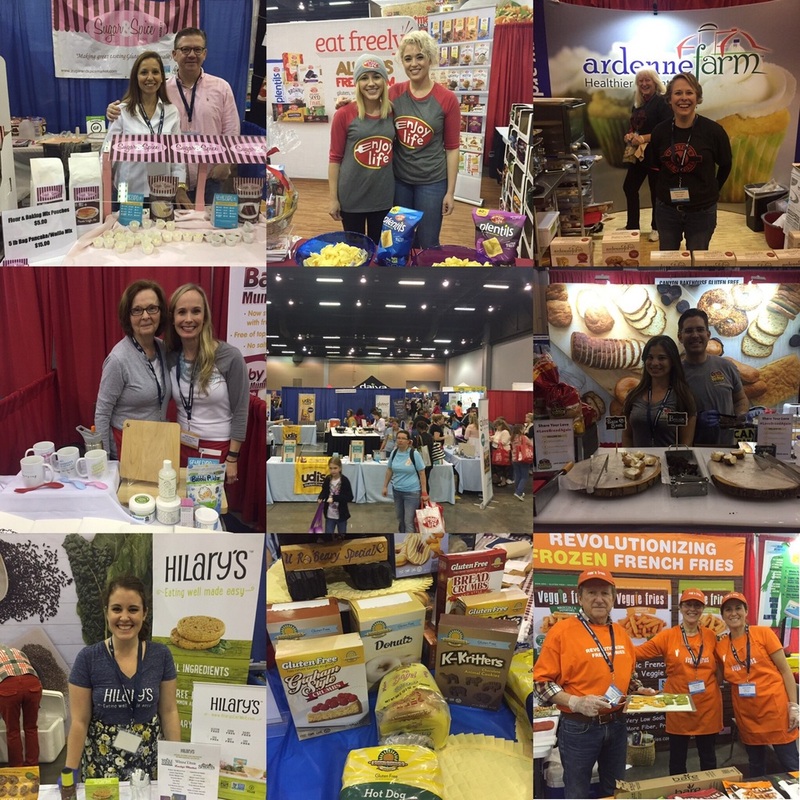 I met some great bloggers, and tried SO MANY yummy gluten free items. We got to see a few companies we already loved and find some new favorites. Thank you so much to the GFAF team for inviting me to attend and to all of the vendors who sent us home with some amazing products. Seriously the free samples/take home bag is worth the cost of attending alone. This is just my bag's worth of goods. It took up my entire dining room table. 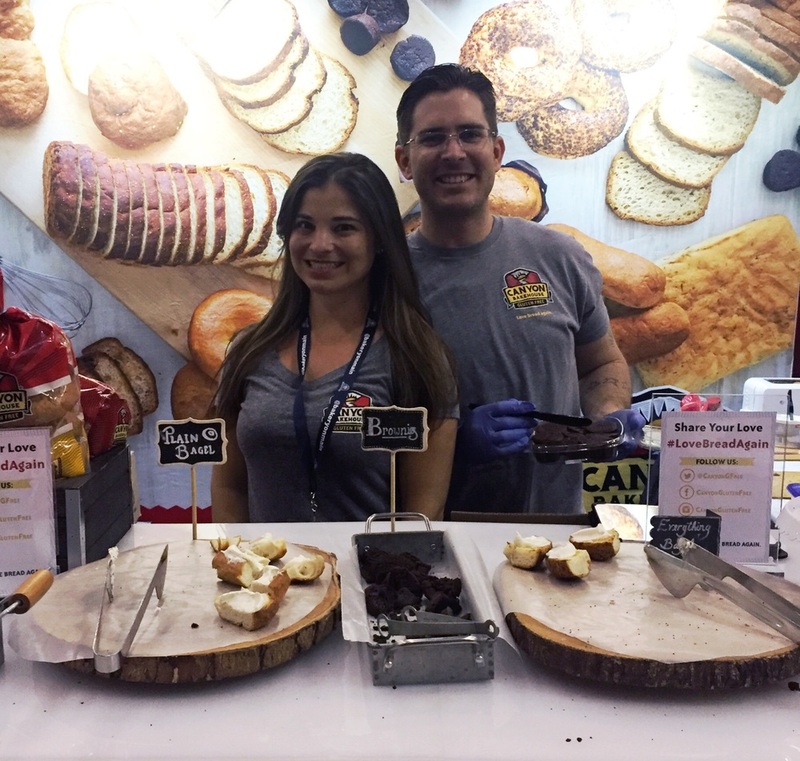 Vendors that attended ranged from well known Gluten Free brands to smaller local companies. A few grocery stores and resturant chains were represented as well. Half of the Expo is set aside for brands who are not only gluten free but also peanut/tree nut free. I invited my friend Meghan (hayesdays.com) who is allergic to both peanuts and tree nuts and she was able to learn and find some new brands to love as well. Each booth has a little sign, with clearly marked ALLERGENS HERE signs. So it was very easy to tell if an item was safe to eat or not. 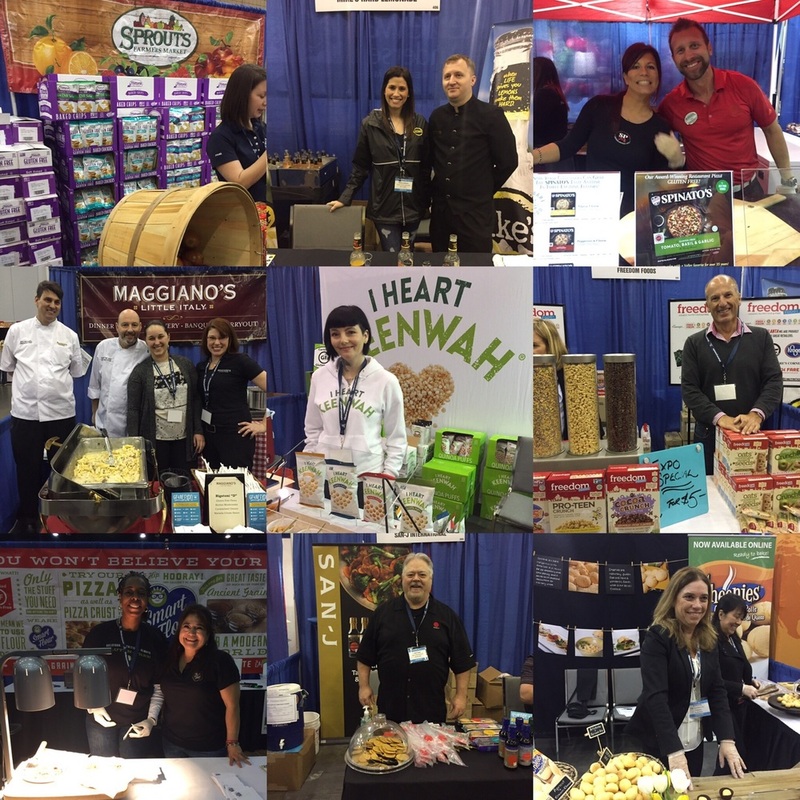 Here's a sampling (no pun intended) of the amazing brands/companies that were represented at the expo. With so much to see and taste we found ourselves getting FULL from all the samples. Come hungry and bring a water bottle! I thought I would share some of our favorites from the Expo. A few of these were already favorites coming in, but most of them are new to us brands that I am so excited about. Pizza was the most represented item at the Expo I think. Of all the brands there Spinato's was BY FAR the best. Everyone in our group went back for 2nds (and 3rds). They also offer amazing dressings, and pasta sauce. The sauces and dressings are currently in Sprouts and the pizzas are coming at the end of the month. They are also working on getting into more retailers. GO REQUEST THIS BRAND at your local store. So so so good! This brand specializes in products for food allergy families. I especially loved the plates and untensils to remind you to keep things ALLERGY SAFE. I think I need this dish towel she has as well. Their muffin mix is hands down the best I have ever tried. I am super excited to team up with them on a giveaway next week as well. This was no dense heavy muffin, so light and fluffy you wouldn't know it was missing any gluten. We already loved Canyon Bakehouse before we found them at the Epxo. But seriously if you miss bagels, you need to find some Canyon Bakehouse bagels. Their everything bagels are literally EVERYTHING. We tried a lot of cupcakes at the expo. A LOT. This was by far the best flour we tried. It's a 1 to 1 flour replacement so it's perfect to use in recipes. Please go check out some of these brands. I would love to hear what you think! Each booth had some samples/coupons/discounted products for sale. They also had some information to take with you to be able to request some of their products at your local grocery store. I would recommend attending this Expo to anyone who is dealing with food allergies, especially gluten because that is the focus of the event. Check out the website here to find an Expo near you.